Human history has been a journey toward insignificance. As we’ve gained more knowledge, we’ve had our planet downgraded from the center of the universe to a chunk of rock orbiting an average star in a galaxy that is one among billions. So it only makes sense that many physicists now believe that even our universe might be just a small piece of a greater whole. In fact, there may be infinitely many universes, bubbling into existence and growing exponentially. It’s a theory known as the multiverse. 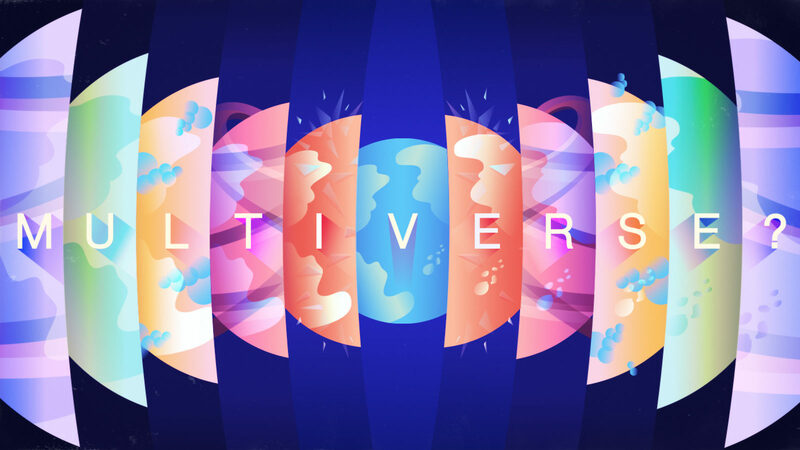 One of the best pieces of evidence for the multiverse was first discovered in 1998, when physicists realized that the universe was expanding at ever increasing speed. They dubbed the force behind this acceleration dark energy. 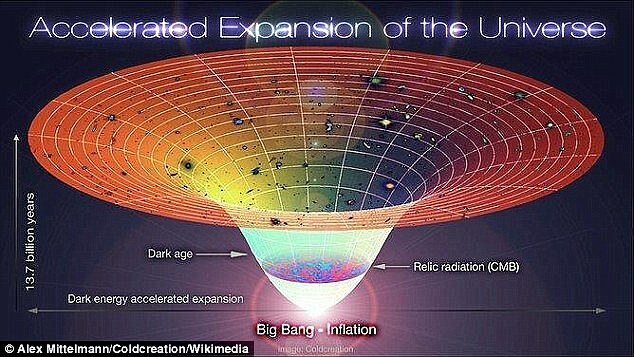 The universe has been expanding since the Big Bang kickstarted the growth about 13.8 billion years. The value of its energy density, also known as the cosmological constant [Λ], is bizarrely tiny: 120 orders of magnitude smaller than theory says it should be. For further evidence of a multiverse, just look to string theory, which posits that the fundamental laws of physics have their own phases, just like matter can exist as a solid, liquid or gas. If that’s correct, there should be other universes where the laws are in different phases from our own—which would affect seemingly fundamental values that we observe here in our universe, like the cosmological constant. “In that situation you’ll have a patchwork of regions, some in this phase, some in others,” says Matthew Kleban, a theoretical physicist at New York University. These regions could take the form of bubbles, with new universes popping into existence all the time. One of these bubbles could collide with our own, leaving traces that, if discovered, would prove other universes are out there. We haven’t seen one of these collisions yet, but physicists are hopeful that we might in the not so distant future. If we can’t find evidence of a collision, Kleban says, it may be possible to experimentally induce a phase change—an ultra-high-energy version of coaxing water into vapor by boiling it on the stove. You could effectively prove our universe is not the only one if you could produce phase-transitioned energy, though you would run the risk of it expanding out of control and destroying the Earth. “If those phases do exist—if they can be brought into being by some kind of experiment—then they certainly exist somewhere in the universe,” Kleban says. No one is yet trying to do this. In recent years, physicists have discovered that the universe appears almost entirely flat. But there’s still a possibility that it’s slightly curved in one direction or the other, and Nomura predicts that within the next few decades, measurements of the universe’s shape could be precise enough to detect a slight curvature. That would give physicists new evidence about the nature of the multiverse. “In fact, this evidence will be reasonably strong since we do not know any other theory which may naturally lead to a nonzero curvature at a level observable in the universe,” Nomura says. But with the right curvature, a curved universe could reframe how physicists look at values that, at present, appear to be fundamental. If there were different universes with different phases of laws, we might not need to seek fundamental explanations for some of the properties our universe exhibits.